Secretary General of the Academic Committee of China’s National Development and Reform Commission (NDRC) and Deputy Director of the Academic Committee of Wuhan University’s Institute of International Studies. In 1982 he obtained a BA in Law from Sichuan Normal University and in 1984 a MA in Economics from the Huazhong University of Science and Technology. He teaches part-time at Renmin University, Wuhan University, Huazhong University of Science and Technology, and the Central University of Finance and Economics in Beijing and is a visiting fellow at Colorado University’s School of Economics and Toronto University’s Department of Economics. He also held a position at the World Bank EDI. 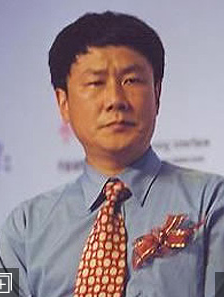 At the NDRC’s Institute for International Economic Research, ZHANG Yansheng headed research projects, mainly engaged in international finance and trade. He has overseen key research projects for several of China’s Five-Year plans including the most recent 12th Five-Year Plan. Prof. Zhang has published over 20 books in English and Chinese, and over 200 academic papers. He was awarded the SunYefang Economic Science Works Prize, the First Class Excellent Research Prize of the NDRC, China Development Research Prize and other prizes.